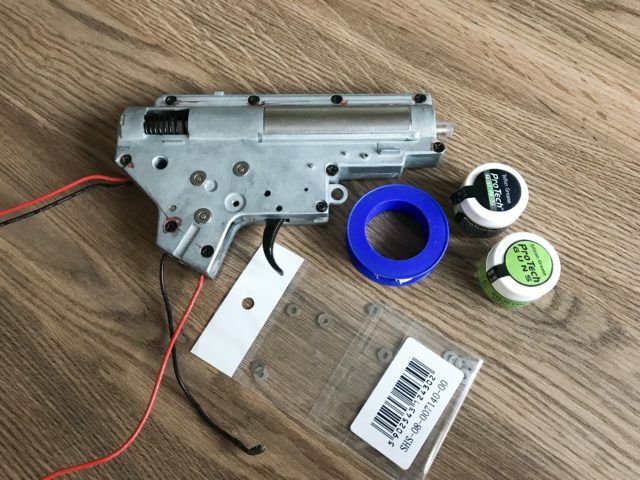 There is a new phenomenon, where all the people who buy a new airsoft replica, instantly take it to the service and upgrade some parts like wiring, hop-up bucking, barrel etc. 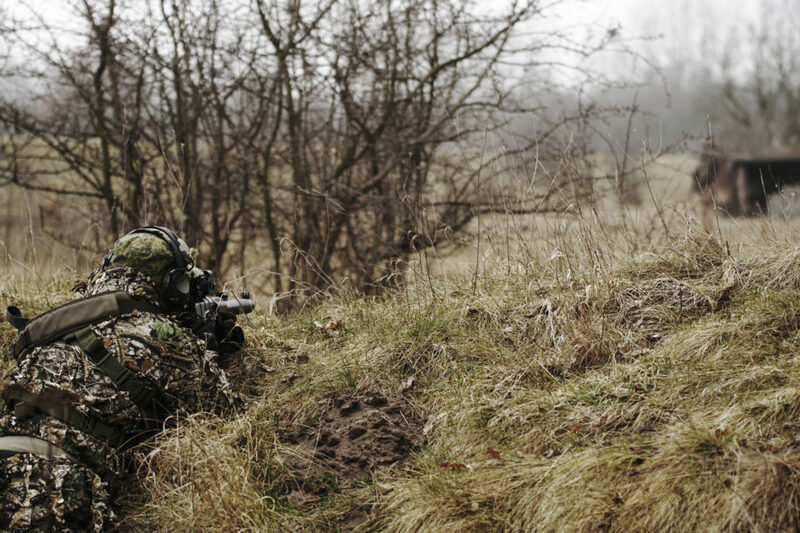 Sometimes one can even hear rumors, that an out of box AEG is not usable in the field, and that rumors are often heard by inexperienced, new players. 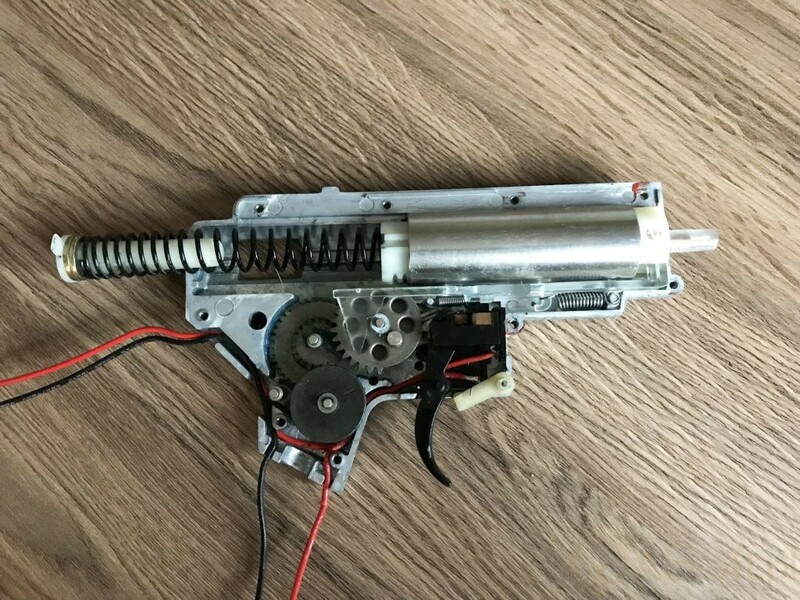 Personally, I think that it is partially true because it’s noticeable that even first class replicas have a lack of good quality control, especially when it comes to the lubrication of mechanisms and gears shimming. 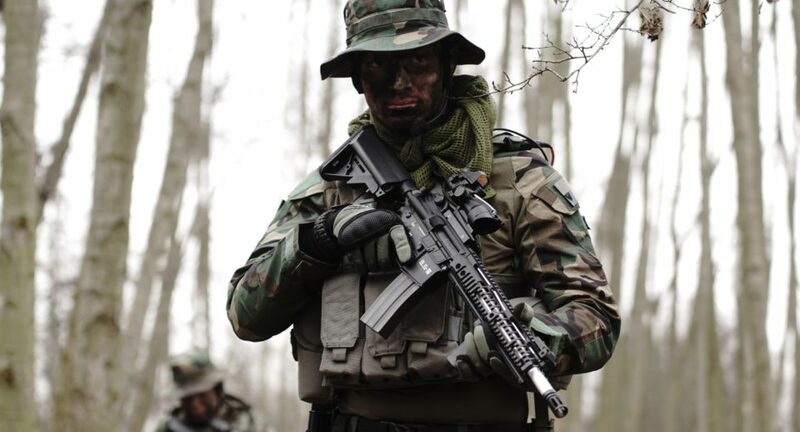 However, it still doesn’t mean that you must buy a fresh new set of SHS parts for your new airsoft replica. You can simply start with improving the stock parts and test it in the field to check if it fulfills your needs. Lets jump into the tutorial. 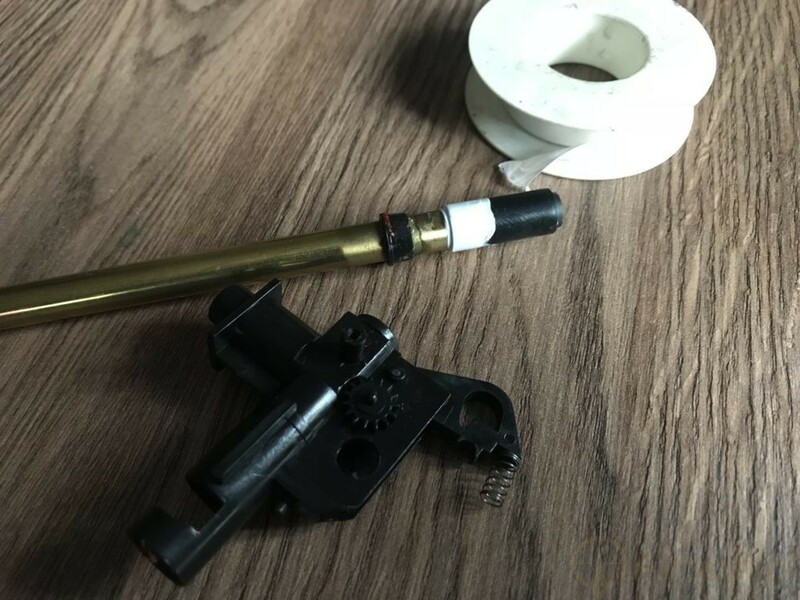 It’s one of the most common and easiest to perform modifications. It’s supposed to fix the air sealing between hop-up bucking, the barrel and hop-up chamber. Apply the Teflon tape on the end of hop-up bucking and the part that comes into the chamber, if it sits there loose. 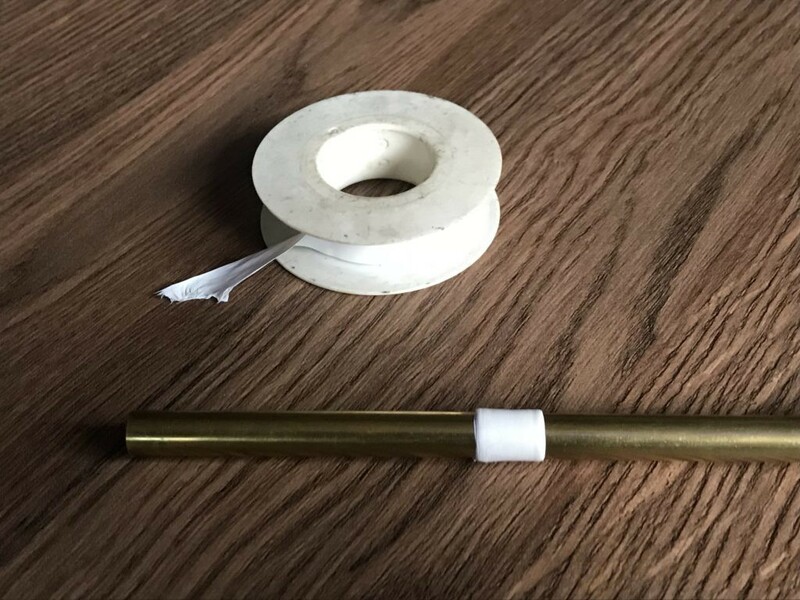 Additionally, you can put some Teflon tape also on the barrel, to stabilize it inside the outer barrel. 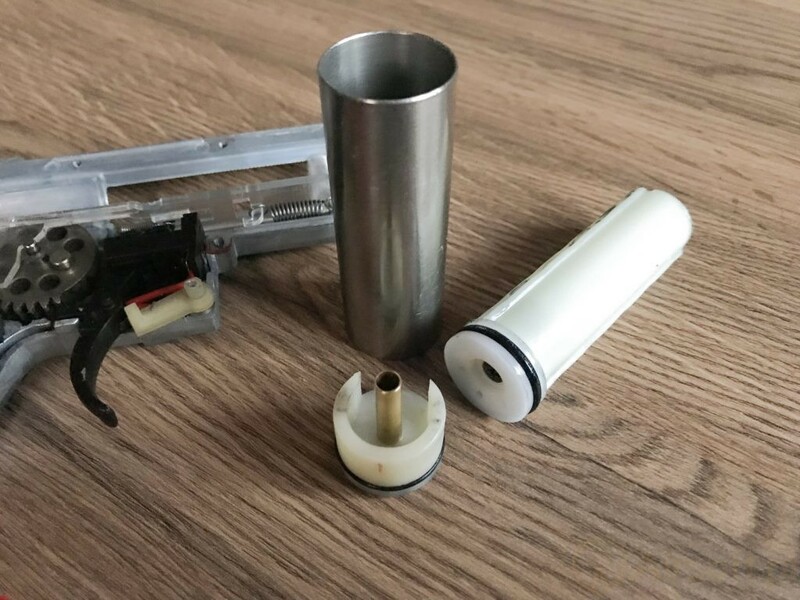 Use a paper towel to clean up the whole gearbox, you can also put the parts into a box with warm water and soap for more precise cleaning. Dry it off and start putting everything together with a proper set of lubes. 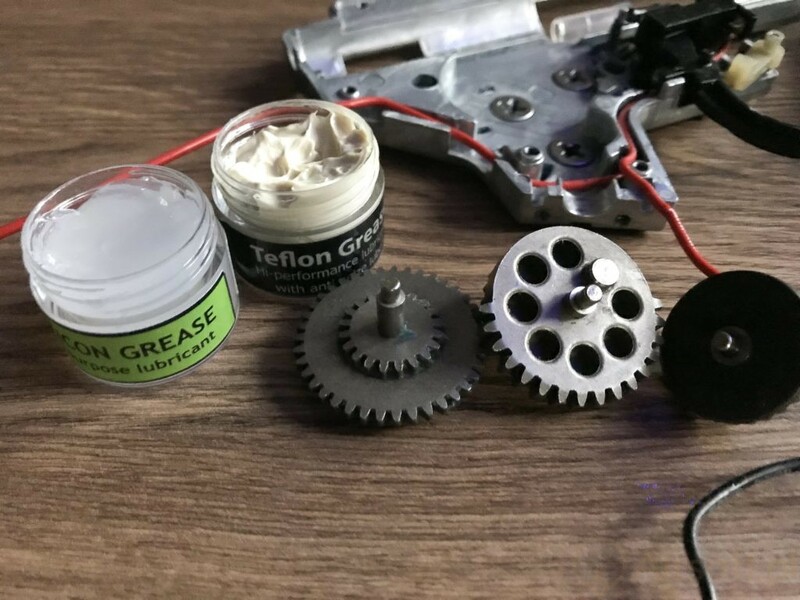 Teflon grease comes on the moving parts like gears, piston teeth. 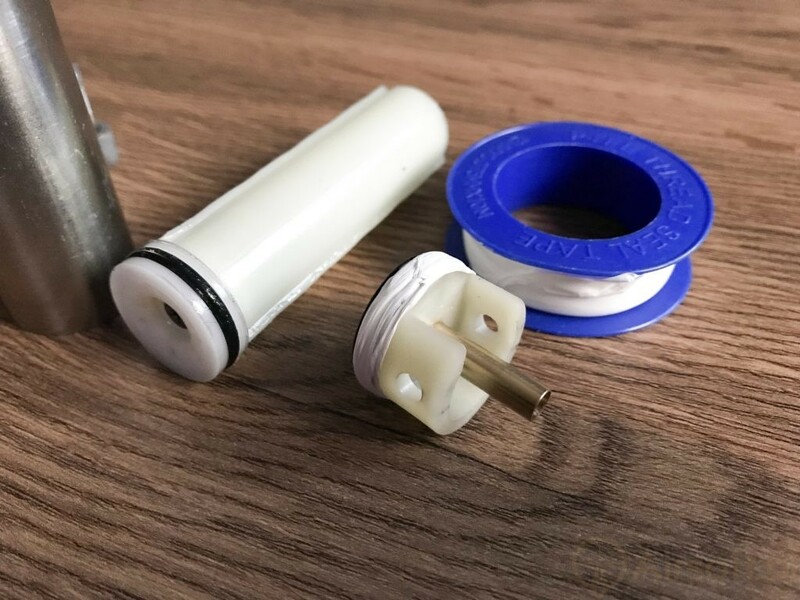 Silicon grease comes handy when it comes to the pneumatic parts – orings, cylinder, cylinder head. Do not go crazy with the amount of the grease. I would also recommend using a specialistic, dedicated set of grease, instead of looking for any substitutes in the hardware store. 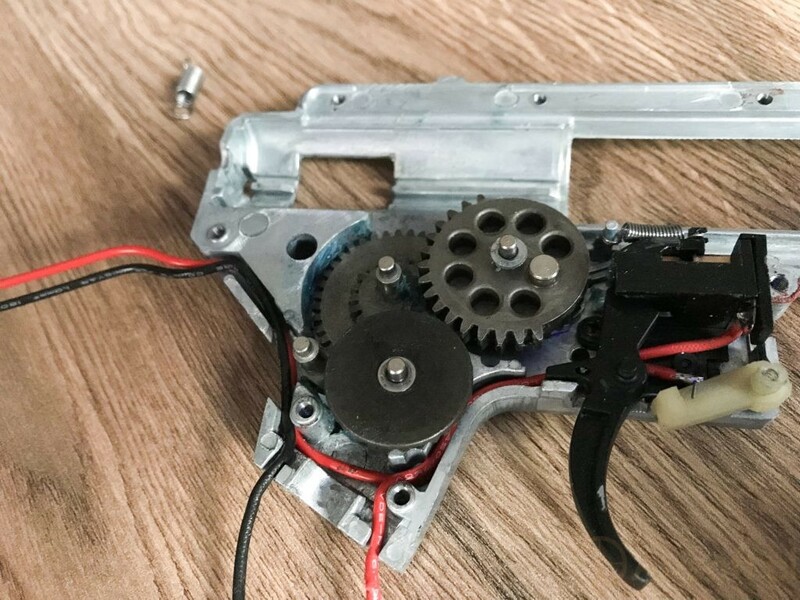 The shimming of gears is not always needed, however, if the gun sounds strangely screechy, the shimming is probably done poorly and needs a fix. The trick is to put the gears in the correct angle of engagement, but not too tightly, because it will increase the friction. The procedure takes a lot of trying and practice. A rule of thumb is to close the dry gearbox shell after the shimming and spin the gears while trying to hear or feel any friction. YouTube platform has also a lot of useful videos about the proper shimming. If during the chrono test, your replica shoots with a wide spread of fps, check this section carefully. The first place where air can escape is the connection between the cylinder and its head. Probably there is just one oring that fits loosely. Put the Teflon tape on the sealing of the cylinder head and lube it with the silicon grease. Mount it back and voila! No air leaking. I know that the article says “without replacing parts”, but sometimes it is worth to swap the oring that sits on the piston head. However, if you don’t have any spare orings to fit in, put the oring on the cylinder and pour hot water on it, and then – cold water. Use some silicon grease and mount everything back. Stock cylinders are often scratched inside (and nobody knows why). 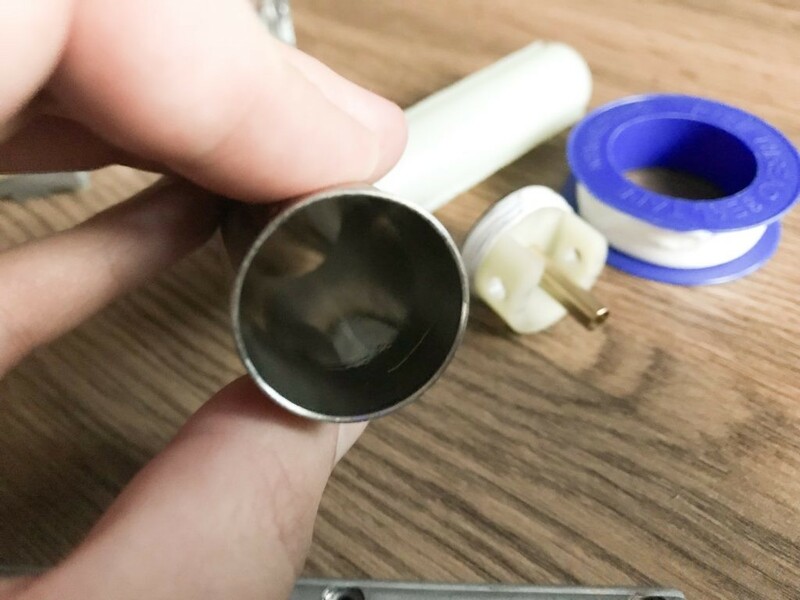 Use the felt cloth and polish paste, to polish the inside surface of the cylinder. Dremel tool could also be handy at this moment. Yeah, I know the photo presents a steel one ;). After all these “upgrades” check the effects of the sealing. If you put finger on the end of the nozzle, you shouldn’t be able to put the piston in. If you can – the air is still leaking. 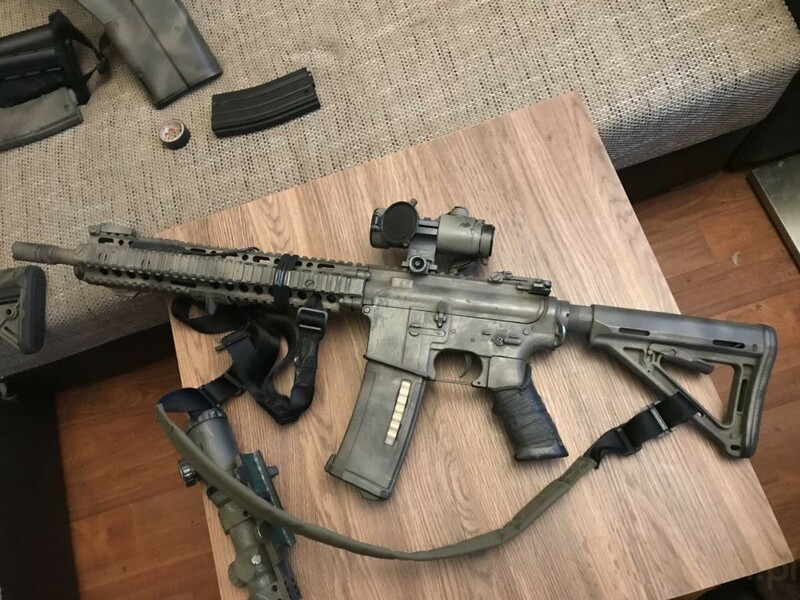 Using the tricks from this article, you will improve the factory performance of your airsoft replica without swapping any fancy parts. The most wanted effect is to get a better fps consistency and better gears sound, however, if there was a lot of air leaking, you can also get some free fps on the chrono. More hints and tips on maintenance of your replica can be found here. What are your tricks to upgrade factory gearboxes? Tell us in the comments!